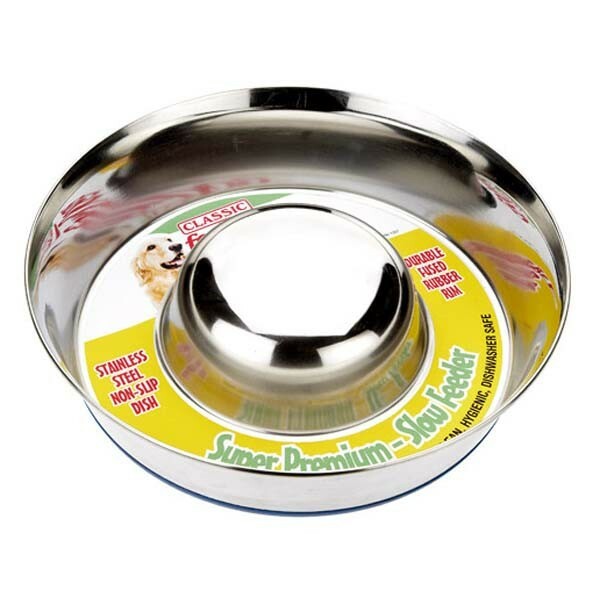 High quality dog bowl in heavy gauge stainless steel. Non-slip rubber base prevents the bowl from sliding around. These stainless steel food bowls are dishwasher safe and will last for years. Available in 24cm or 28cm diameter.